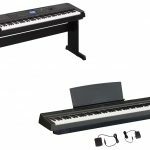 Yamaha P45 and Korg B1 are two great options for beginners who are looking for an affordable yet still able to give them the impression or feeling of a real piano. Both sounds good and come with additional features. If one of them took your interest, you may want to check our article below to help you decide which unit will suit your preference the most. 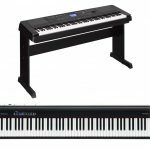 If you are interested in digital piano, you probably already hear about the Yamaha P45. This piano is very popular among piano players especially those who just want to start learning. 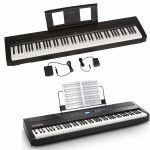 After the unit was announced in 2015, P45 is still among the best digital piano for beginners today. It shares all the core function of the older P35 but Yamaha also put other new features in this one and with the price it offered, you can get more than enough without digging in too deep into your pocket. 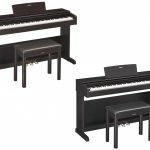 From the outside Yamaha P45 looks exactly like its older brother the P35 with the same compact and lightweight chassis. The product measures at 52.2 x 11.5 x 6 inches and weighing around 36.4 pounds. You can find some controls for the piano at the left top of the unit including the power switch, master volume, and multi-use function button. On the rear side, you can find the USB to host connector to connect the piano with your computer and to deliver the sound, the piano used two 6W integrated speakers. To produce the sound, Yamaha P45 utilize their classic AWM engine with the new 64-note polyphony that always gives you a pleasing feeling. The sound produced is more expressive and deeper if you hold the pedal to double the amount of notes or if you use the “dual” layer mode. This piano will let you experience a heavier touch on the lower keys while being more responsive in the higher zone. This feeling mimics a real piano, so it is suitable for those who can’t afford one but still want to play a realistic version of it. If you want to play together with your friend, there is “Duo Mode” that will splits the keyboard in two specular parts and allow two people playing it simultaneously. This feature is also useful for teaching method. Available in the piano, you will get 10 sounds, including two pianos, two organs, two harpsichords, and two electric pianos. For addition, there are patch for strings as well as vibraphone. 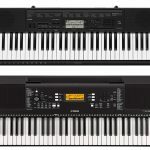 Read also: Yamaha P115 vs Roland FP 30 here. As it has been mentioned earlier, Yamaha P45 has USB to Host connector. One unfortunate thing with the keyboard is it doesn’t have an internal memory to record your audio. However, this minus can be dealt with the connector. When you connect your piano to your computer and make it act as MIDI, so you can record it into your audio program. The piano also compatible with any digital audio workstation that allows MIDI. There is a built in Metronome if you want to practice scales and arpeggios. 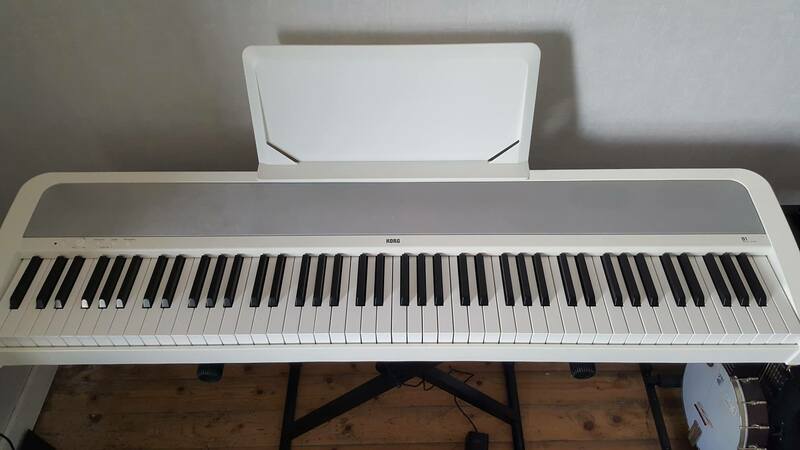 Korg B1 is another great piano for beginners. Korg is known for making many high quality pianos since long ago and this one is just the same. 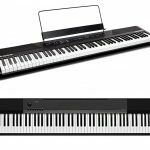 Looking from the price, the unit is one among several best budget digital pianos out there. It is a great choice for those who just start learning or people who are not sure if they will committed or not, since you can’t spend so much on something you are not 100% sure yet. From the outside Korg B1 look just like your average compact digital piano. The unit measures at 51.6 x 13.2 x 4.6 and weighing around 26 pounds, which making it suitable to be carried around. All the controls you need are placed at the front top. These controls are very straightforward and not very advanced in technology, so it can be played even by students who just been introduced to piano. You can purchase the piano alone, but there is an option to get a stand if you want to add it into your home decor. To give the best sound, Korg B1 is equipped with their Motional Feedback technology. 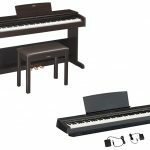 This technology used the built in speaker system together with the MFB technology and there are cones controlled by the servo system, which makes the piano able to deliver low frequencies with little to no distortion. The total polyphony in this one is 120-note with 8 sounds including 3 acoustic piano voices, a harpsichord, and two organs. The amount is pretty basic and would be better if added with some strings type instrument. Another great thing in Korg B1 is the Partner Mode feature. If you are not familiar with the ability yet, this feature allows you to split the keyboard into two different keyboards. 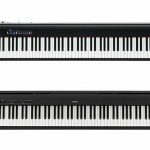 Just like the Duo Mode in Yamaha P45, this feature is useful in teaching method, because your student can mimic what you are playing straight away. Korg B1 comes with a headphone jack, so you can use it in discreet or when you want to avoid disturbing others. Beside the earphone jack, this piano only has pedal output, so we can say that the connectivity is really kept minimum here. We are quite surprise why Korg didn’t put any USB port into the unit, because without it you can’t connect your keyboard to your computer to do more than just playing. 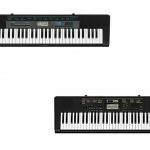 Now, let’s compare Yamaha P45 with Korg B1. 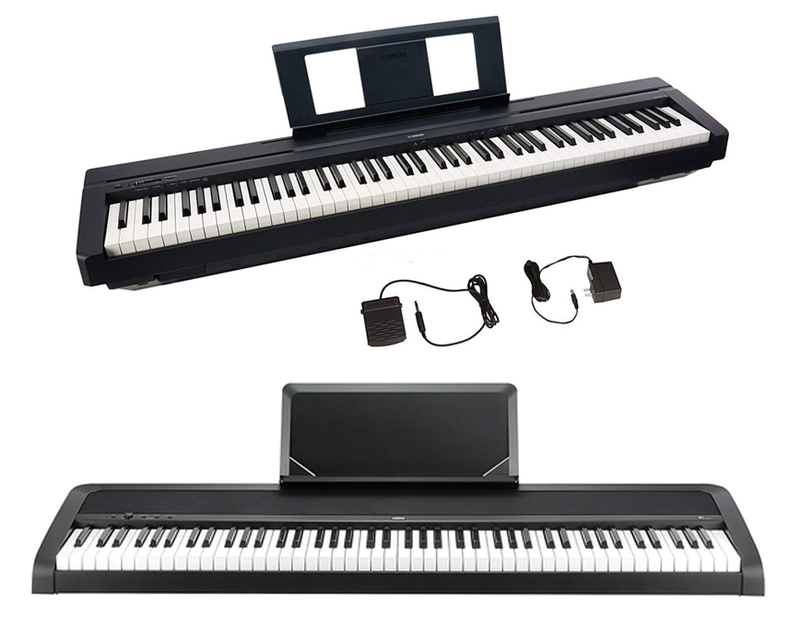 Both digital pianos are equally awesome for beginners level. What separate them prominently are probably the polyphony count and the connectivity. 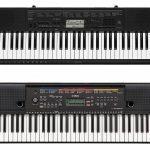 Yamaha P45 has 64-note while Korg B1 comes with 120-note, so Korg is better in term of sound. However, it lacks connectivity for it doesn’t have any USB port to let you connect it with your computer. All in all, the decision is all yours to make. In our opinion, it is better to base your option on what you are looking in your piano. If you need to use the piano with your computer as MIDI, choosing Yamaha P45 will be better, but if you only want to use it to learn how to play, we will highly recommend you Korg B1 for the higher polyphony.